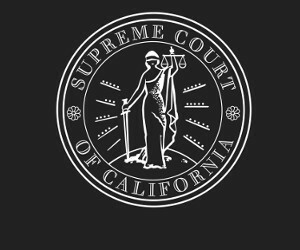 The California Supreme Court appointed Judge William Kearse McGill to the position of State Bar Court Review Judge and Attorney Cynthia V. Dixon to the position of State Bar Hearing Judge (Los Angeles). Both Judge McGill and Ms. Dixon will serve in their respective roles for six-year terms, beginning November 1, 2016 and ending October 31, 2022. Judge McGill currently serves as the State Bar Court Hearing Judge, having been appointed in May 2015. Prior to that, he worked as the Presiding Judge of the Division of Workers’ Compensation in Stockton. He was first appointed as a workers’ compensation judge in 2005 and previously worked as both applicant counsel and defense counsel in private practice. Judge McGill received his Bachelor of Arts degree from Clemson University and his Juris Doctor degree from the University of the Pacific, McGeorge School of Law. Ms. Cynthia V. Dixon is currently the Criminal Justice Act Supervising Attorney for the U.S. District Court, Central District of California, where she oversees the Federal Indigent Defense Panel. Over the past 20 years, Ms. Dixon has served in numerous roles, including national director for litigation for the Mexican American Legal Defense and Educational Fund, Assistant U.S. Attorney, and trial attorney for the U.S. Department of Justice in Washington D.C., to name a few. Ms. Dixon earned her Bachelor of Arts degree from University of Arizona and her Juris Doctor degree from University of California, Los Angeles School of Law.